← February: Short Month, Short Stories! I finally finished Ten Years Beyond Baker Street, by Cay Van Ash. I’d had it on the shelf, intending to read it for more than a decade, perhaps even two, and now that I’ve read it, I have to say I’m disappointed. It felt overwritten, with whole scenes – even chapters – that could easily have been omitted. The character of Dr. Petrie stumbled about, dumber than the dumbest screen Watson, while Holmes seemed to pull solutions out of a hat. I’m not sorry I read it, because now I can “check it off” as it were, but I wouldn’t bother reading it again, nor can I recommend it. I read two books by Tony Earley, Jim the Boy and The Blue Star. These are YA books about a young boy (Jim the Boy) and then a young man (The Blue Star) growing up on a farm in North Carolina in the Twenties and Thirties and then on the eve of WWII. They were good enough to keep me reading. 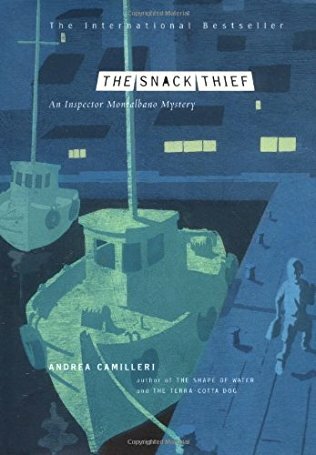 Now I’m reading The Snack Thief by Andrea Camilleri, the 3rd in the Inspector Montalbano series. These are always enjoyable. I’ll try to finish it before Wednesday, February 1, when Short Story February begins. 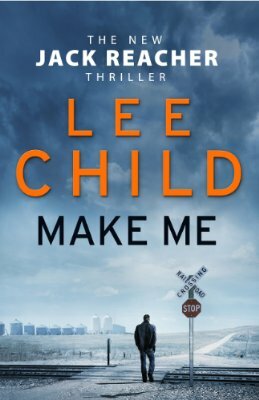 Barbara is reading Make Me by Lee Child, a Reacher novel. She’s enjoying it but it’s taking a while as she has been busy making a baby quilt for a neighbor. She’s also feeling some pressure as she has a stack of books from the library crying out to be read. I hope you’ll be joining me in reading short stories in February. If you do, please post a comment on the Short Story February post (here) and let us know! Just finished Little Heaven by Nick Cutter. It’s a horror novel with a 80’s feel to it. I got bored halfway through. Liked his earlier novels better. Also read Greybeard by Brian Aldiss which I like a lot. That was a reread. Started a collection by Kim Newman called Anno Dracula 1889 and Other Stories. About a third of the way through and liking it so far. That’s an Alsis I’ve not read. I enjoyed the van Ash when I read it years ago but it wasn’t enough to make me seek out his other books. Never read Camerilli, but I liked the Montalbano television series a lot; I have several of the books and really must get to them soon. I read four novels this week. Harry Harrison’s MAKE ROOM! MAKE ROOM! was my FFB last Friday and the source material for the film SOYLENT GREEN — a dystopian crime novel and a good ‘un. Blake Crouch’s DARK MATTER was a horror/SF about parallel worlds, done better than most of them. My “Reacher of the Week” was Lee Child’s THE AFFAIR, a prequel to the series about Reacher’s last few days in the army as a military cop. Robert Parker’s HIGH PROFILE was a Jesse Stone novel about the murders of a national television/radio host and his pregnant mistress. This one featured a cross-over with Parker’s female PI Sunny Randall. Typical Parker: a quick read and most likely easily forgotten. I also finished the Asimov/Waugh/Greenberg anthology THE MAMMOTH BOOK OF VINTAGE SCIENCE FICTION: SHORT NOVELS FROM THE 1950s, a thick (dare I say “Mammoth”?) collection of the usual mnix of familiar and unfamiliar stories. A good, varied read. John Wagner’s A HISTORY OF VIOLENCE was a graphic novel that was made into the David Cronenberg film, a crime story about a dark past catching up with a fairly decent man. I liked this one a lot. Grant Morrison’s NEW X-MEN, VOLUME 2: IMPERIAL featured a story line about Professor X’s twin sister who died in the womb…but not really. Her body died but part of her consciousness hid out in her unknowing brother’s brain for decades until it was time for her to try to destroy the world. A complicated story arc that almost succeeded. That X-Men GN sounds weird. I read the Harrison decades ago, didn’t like it much, neither did I like the film made of it. Loved those Tony Earley books. Reading O’Hara stories and a book for my book group called THE DISTANT MARVELS set in Cuba. I am not in love with it. Way too much story- telling by way too many characters. The more characters I have to keep track of the less I like it. And if I see a cast of characters listed at the beginning, I give up immediately. I really appreciate a cast of characters at the beginning of a book, but it’s too rare these days. For the same reason, I seem to have more trouble keeping track of large casts of characters these days. At least with a list, I can check. Short stories. I was reading a free collection of very short stories online (check here: https://americanliterature.com/short-stories) and one was by Saki. I enjoyed it and realized I hadn’t read much of his stuff, so bought a big collection for 99 cents. I also forgot I had “bought”” three Ftitz Leiber collections when they had the ‘free book’ sale last month, as well as a William Humphrey collection, so I am more than prepared for Short Story February. This week I read THE FACTORY AND OTHER STORIES by Brian Freemantle, a connected series of British intelligence stories. It was OK but no Charlie Muffin book. Back to the other fiction next time. Thanks for that link, Jeff. I have more than enough short story books on hand, but will still check it out. I just finished another Big Fat Book, Charles Taylor’s A SECULAR AGE (874 pages!). As your SHORT STORY FEBRUARY approaches, I want to remind you that I read a short story every day. Jeff Meyerson got me into the habit a couple decades ago so I’ll be posting every Monday on your blog what short stories I’ve read the previous week. I think Barbara will find the conclusion of MAKE ME shocking. I did. George, I look forward to your short story lists every Monday! I tried the Blake Crouch (as well as a second of his books) but it annoyed me so I quit it. The YA book sounds possible I’ve read all the Reachers, including the prequels. Also the Montalbanos, except for the latest which is newly arrived. Every time I get close to starting a “real” book I seem to download another library book that I need to read first, though I am down to the last one (for now). I like the Montalbano TV series too. We got a bunch of the DVDs from a friend in England. I read a review (in Deadly Pleasures, I think) of the first two Bill Loehfelm books about Maureen Coughlin. The first didn’t appeal to me so I started with the second, THE DEVIL IN HER WAY. Coughlin was a bartender in Staten Island terrorized by a guy she later killed, in the first book, from what can gather, She decides to redo her life and become a cop, but as the NYPD has a hiring freeze she is recruited to New Orleans after Katrina and, in book two, is just finishing up her training. Anyone who loves New Orleans as I do will enjoy it, as long as you don’t mind seeing the dark side. The author, like his main character, grew up in Staten Island and moved to New Orleans. Next was AFTER THE STORM by Linda Castillo, where a newly pregnant Police Chief Kate Burkholder has to investigate a skull that turned up after a tornado hit northeastern Ohio. I just downloaded the latest book in the series, AMONG THE WICKED, which I’ll be reading next. After the Freemantle, I read Dan Chaon’s AWAIT YOUR REPLY, which grew on me as I went along, though I didn’t like it as much as Deb did. Three stories about three different people who seem to have no connection for most of the book as their stories are told in alternate chapters, then finally tied together at the very end. You say “as long as you don’t mind seeing the dark side”. I’ve grown less and less inclined to want to see the dark side of anything, it seems we dwell in it, politically. The last couple of nights we watched the first DVD of Granchester, and enjoyed it. The second one will be coming from Netflix later this week. Nice light fare. James Norton, who is the star of Grantchester, plays a very different and much, much darker role on the excellent HAPPY VALLEY. It’s dark enough that I’d guess it is more to Patti’s taste than yours. Jackie suggested ROSEMARY AND THYME or DEATH IN PARADISE. We still have a ton of Midsomer Murders to watch, too. I’m reading and re-reading a lot of older stuff. Right now I’m about to finish VALLEY OF THE ASSASSINS by “Ian MacAlister.” Great stuff. The more I read, the more there is TO read. Sigh. I finished Fiona Barton’s THE WIDOW, the story of the last few years of the life of a man suspected, but never convicted, of abducting a young child. I thought Barton (in her debut novel) did a great job of writing from various points of view and in various timeframes. The suspect’s widow is the only character whose story is told in first person. She is both an unreliable and a cagey narrator–doling out information in small increments, never actually letting us know much more than other characters (a journalist, a detective, the mother of the abducted child) have already surmised. A good book, highly recommended. Now I’m reading John Preston’s A VERY ENGLISH SCANDAL, a nonfiction book about Jeremy Thorpe who ran Britain’s small but important Liberal Party in the 1960s and 1970s. A closeted gay man, Thorpe was notorious for reckless sexual behavior, the consequences of which were generally covered up by the Old Boy’s Network of Eton/Harrow/Oxbridge. But then Thorpe became involved with a handsome but clearly mentally-ill young man and wrote him some highly-indiscreet letters. The situation devolved into a murder plot during which a beloved dog was shot. Then things got weird. Clearly-written with a brisk pace, the book’s only downfall is Preston’s reliance on the self-serving memories of an equally reckless (although regarding women and money in his case) politician named Peter Remmell. I have to say, A VERY ENGLISH SCANDAL sounds like something I’d energeticly avoid. I am reading Last Rights by Barbara Nadel, the first book I have read by that author. It is about an undertaker in London, set during the London Blitz. I am not sure yet what I think about it overall, but it definitely brings home the horrors that were experienced during the Blitz. She’s a new-to-me author also, Tracy, but I’ll keep an eye out. Thanks! I’m hopeless. My library has the Earley books but only “real” books, so instead I downloaded a short story collection of his. The Early books are YA, but you might enjoy them. At some points the writing is very good, at other points they seem kinda blah. You noted the lack of enthusiasm in my description, I assume. I’m about to finish the Montalbano, and have one more library book to try to read today, but I won’t be able to finish it before I start reading short stories tomorrow. That means I’ll read some short stories in the morning and work on the novel in the afternoon. Maybe it’s a case of that phenomenon that makes you notice, after buying a new car, all the other cars on the road like yours, but it seems everywhere I look here, there are unread books of short stories. My gosh, I’d need a short story year to get through them! But I’ll soldier on for the month, and see what progress I can make. Richard, I like Lee Child’s Jack Reacher novels and look forward to reading the two I have. I liked the first one I read, KILLING FLOOR. Child’s narrative style is refreshing.